The Strategic Enrollment Management Plan is the sixth element in a cohesive prototype plan leading an institution into the future. It is an integral part of a cohesive planning and management system serving to guide organizational development, focus and workflow. I receive many requests for an outline but the specifics of a plan are largely dependent upon the institutions typology and strategic condition of its academic portfolio and enrollment history. This post will serve to frame the basic functions and some strategic elements necessary for any Strategic Enrollment Management Plan. Manage enrollment dynamics to optimize revenue and enrollment performance. The foundation of any Strategic Enrollment Management Plan emanates from assumptions either formal or de facto about the relative position of the institution in the global learning ecosystem or within specific learning market segments. A long range view with specific references such as 1, 3, 5, 10, 15 year milestones. The Strategic Enrollment Management Plan when combined with the Institutional Strategic Plan and the Master Academic Plan determine the institutions relative strategic position in the global learning ecosystem. Conversely the desired strategic position focuses the development of specific strategies, tactics, goals and objectives in the Strategic Enrollment Management Plan. Strategic Position is defined as the sum of the competitive characteristics an institution or program possesses when compared to other institutions or programs in the global learning ecosystem or specific market segments. While marketing, branding, and competitiveness are certainly integral to the strategy, the roots of strategic positioning lie in the academic master plan and the academic culture and curriculum it defines, builds and sustains. 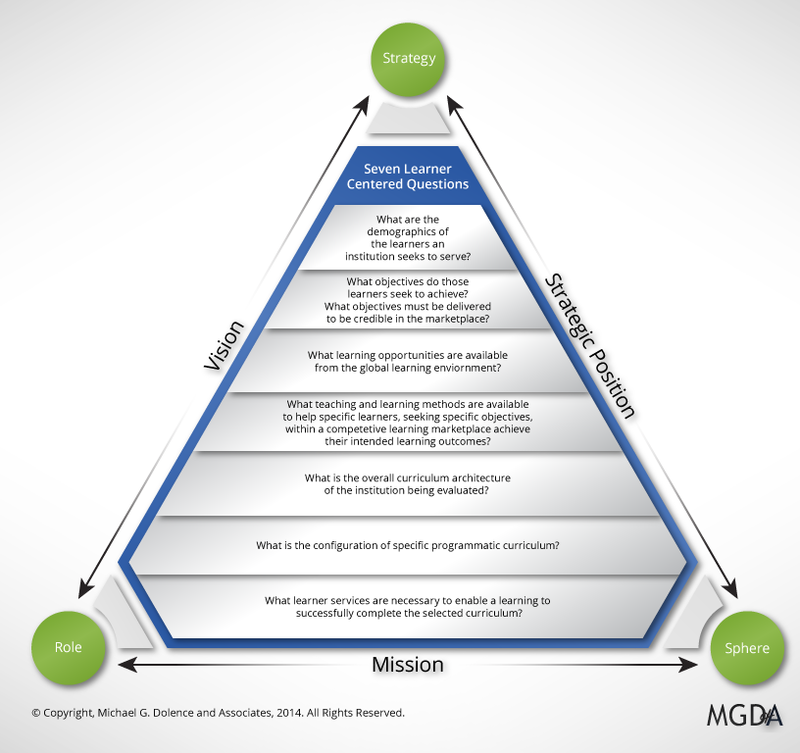 The process begins with institutional strategy emanating from mission and vision. We use the SRS Method to develop a clear and concise translation and guide Strategic Enrollment Management plans, campaigns and analysis. Contrary to the common practice, “we need more,” is neither a strategy nor a plan. The concept of strategic position is built around assessing where an institution is with respect to others in its competitive sphere. The assessment of strategic position is informed through at least six lenses. Examines enrollment strategy and performance against geographic scope, reach and yield. Scope assesses and defines target populations, reach details tactics to engage target populations and yield measures enrollment performance. Examines the metrics and perceptions of the benefit and value added through the learning experience. Examines the scope and focus of the academic program mix requiring an evaluation of saturation and opportunity against market dynamics. Examines the comparative scholarly performance of the institution against competitors. Examine the requirements of employers, contemporary realities in academic communities and the performance and success of alums. Examines academic strategies tied to emerging trans-disciplinary communities of practice that require a collaborative academic background to join. 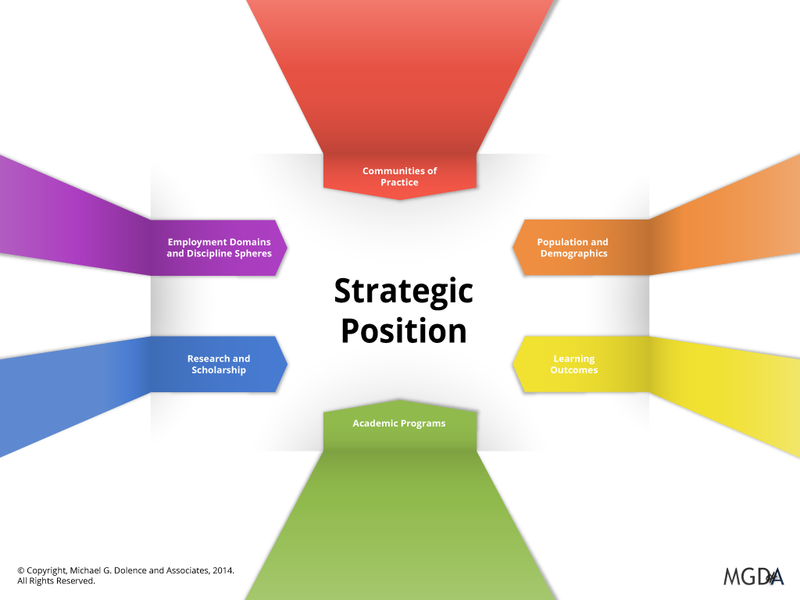 Figure 2: Six Lenses Informing Strategic Position – Strategic Position can be defined as the sum of the competitive characteristics an institution or program possesses when compared to other institutions or programs in the global learning sphere or its specific market segments. Note the primacy of academic programs (Academic Programs, Learning Outcomes, Research and Scholarship) in the concept and strategic position framework. Because the academic strategies drive enrollment management performance, the cycles that drive each of them must be aligned, and synergy developed. They must also be aligned with the three external factors; population dynamics and demographics, employment domains and global discipline conditions, and emerging communities of practice. Evaluate results using analytics and time series methods. Curriculum management also runs in a basic three year PIE cycle. Academic program modifications, curriculum development, and academic policy modifications are collected, and the results are published in the academic catalog to be offered as the basis for enrollment. Because it serves as the basis for a contract between the institution and the student the academic catalog becomes the input to the development of a Strategic Enrollment Management Recruitment campaign. The confluence and interplay between the various cycles of development, review, approval, and implementation require consistent, clear communications and a commitment to a common goal. Synchronizing the academic and enrollment management calendars, schedules, and cycles are essential to a smooth enrollment development culture. Cycles must nurture enrollment management campaigns designed to recruit the next cohort of students. 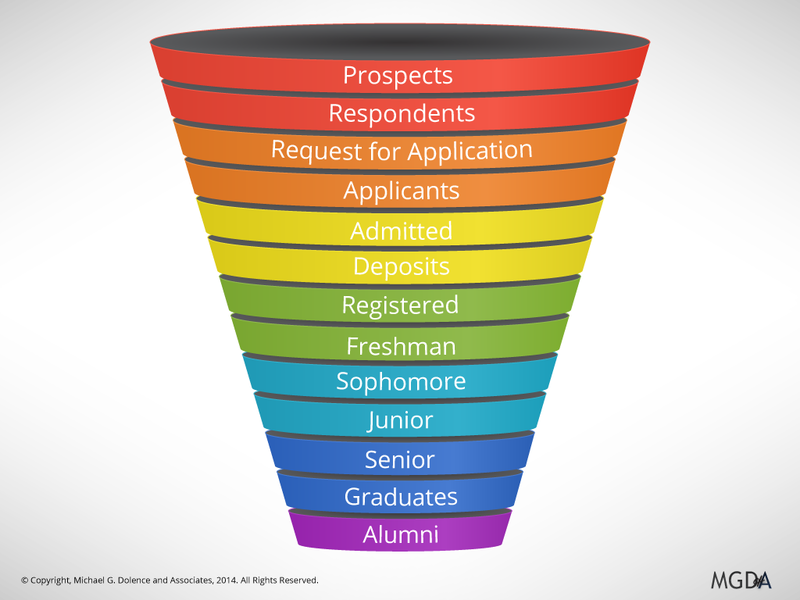 The recruitment, retention, and graduation of students follow the predictive staged path detailed in the Strategic Enrollment Management Funnel. Between each band lies the yield from decisions made in the previous to progress further down the funnel toward registration. Campaigns are designed to yield the progress from suspect populations (input to the funnel) through the various stages. Defined as an integrated set of recruitment activities designed to achieve a specific enrollment target in a specified amount of time. A campaign is guided by institutional strategy, master academic plan, and strategic position and developed in order to meet recruitment period enrollment targets. Targets Begin with trajectory statements such as increase academic profile of freshman class or increase diversity of the undergraduate population, or increase geographic representation of graduate enrollments. Specific campaign targets then flow from these trajectories, such as, grow enrollment from Asia (specifically China, Japan, Malaysia, India, & Indonesia) by x% to 100 incoming students in fall (year). Messaging Develops the specific messages and sequences them to influence prospect decision making. Messaging creates the value proposition, removes barriers, engages the interest, and leads the prospect through learning about the opportunity to experience an academic culture. It is both art and science and is rarely enhanced by opinion. Channels Map the messages to specific communications systems and schedule them in a strategic order to influence prospects decision to proceed through the application process to enrollment. Channels include events (face-to-face), social media, advertising, including virtually every vehicle of engagement available. Closing In the end the entire campaign is about the final negotiation and closing the offer of enrollment. The right tools and flexibility must be in the hands of the closer. Enrollment managers are working a minimum of three campaigns at any given time. They are evaluating what worked in the previous, implementing the current and planning the next. A consistent critical weakness we have observed is too little time, and attention is paid to campaign planning and analysis. This brief introduction to the construct, value and key elements of a Strategic Enrollment Management Plan serves to orient its role in the structure of a solid strategic planning process. Without this solid foundation enrollment development activities are adrift, guided only by angst, panic, opinion, beliefs, notions, and impatience. The Academic Plan must be the center of any Strategic Plan for an Institution of Higher Education. It serves as the ‘Master’ Academic Plan because “Curriculum drives enrollment, enrollment drives revenue, revenues drive everything else!” It can also be termed the Academic Master Plan because it translates institutional mission and vision into action and establishes the strategic terms and conditions for the development of all things academic. An Academic Master Plan by its nature is dynamic and in a constant state of evolution. If it is not constantly being nurtured, developed, and aligned with emerging changes in the global learning ecosystem then it is in decline. If it is in decline then, the institution is either in decline or not far behind. There are many moving parts, and they must work together. 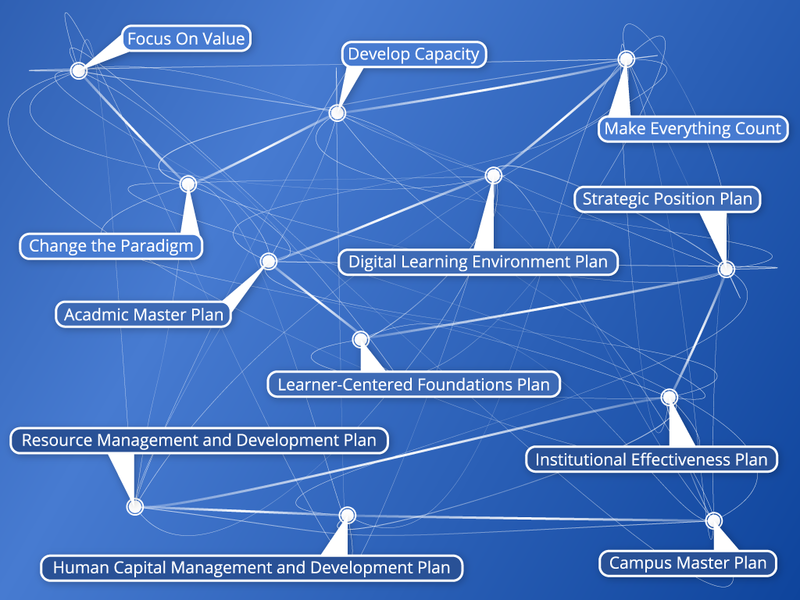 Conversely, each of these plans supports, nurture, and are essential to the success of the master academic plan and the institutions strategic plan. Fiscal stability starts with first determining the critical mass required to support the facilities and basic human capital required to operate a college. Critical mass is the minimum enrollment the institution requires to sustain operations (Hint: it is larger than you think). The MAP guides enrollment goal setting when synthesized with the financial plan and the enrollment management plan. The second step requires understanding the theory and practice of managing the margin (see “Curriculum drives enrollment, enrollment drives revenue, revenues drive everything else!” post). The third step is key to fiscal stability is also outlined in that post, curriculum drives enrollment, the MAP drives curriculum. it translates the institutional strategic plan into academic language and concepts and translates academic realities into broad institutional contexts providing the foundation for the institutional strategic plan. The institutional mission informs and establishes a foundation for the Master Academic Plan. The reverse is also true the MAP serves as a foundation to review and reflect upon the mission and how it is written and conveyed by institutional planning and operations. The mission should address the purpose, scope and focus of the institution. The MAP fills in the details and translates the mission into an academic entity. The institutional mission, while preeminent, is not the only mission in an academic institution. Schools, colleges, departments, institutes, and programs have missions as well. A Vision establishes the trajectory of the academic enterprise. In other words where is it headed comparatively and competitively with respect to the education sphere. The vision also provides a point of reference to evaluate strategies, goals, objectives, initiatives, policies, processes, and procedures. The vision provides an interpretive framework for processing assessments. Making academic philosophies explicit helps clarify the intent and overall culture of the institution. Academic philosophies help make the enterprise more understandable and decisions more interpretable by academics, administrators, learners, constituents and evaluators. Academic philosophies are not mutually exclusive, but rather a collage of foundational belief’s that nurture the academic enclaves that sustain them. Articulating the range of academic philosophies makes it clear that their are more than one at work in an institution and the MAP provides the means for them to blend and cooperate. The array of schools or colleges, programs of study, institutes, and learning communities define an institution’s scope and focus. The strategic position an institution will achieve in a global learning marketplace is to a large degree established by and dependent upon the scope of the academic programs and the scholarship and research portfolios they nurture. The academic scope and focus exist in dynamic equilibrium with the global learning marketplace. 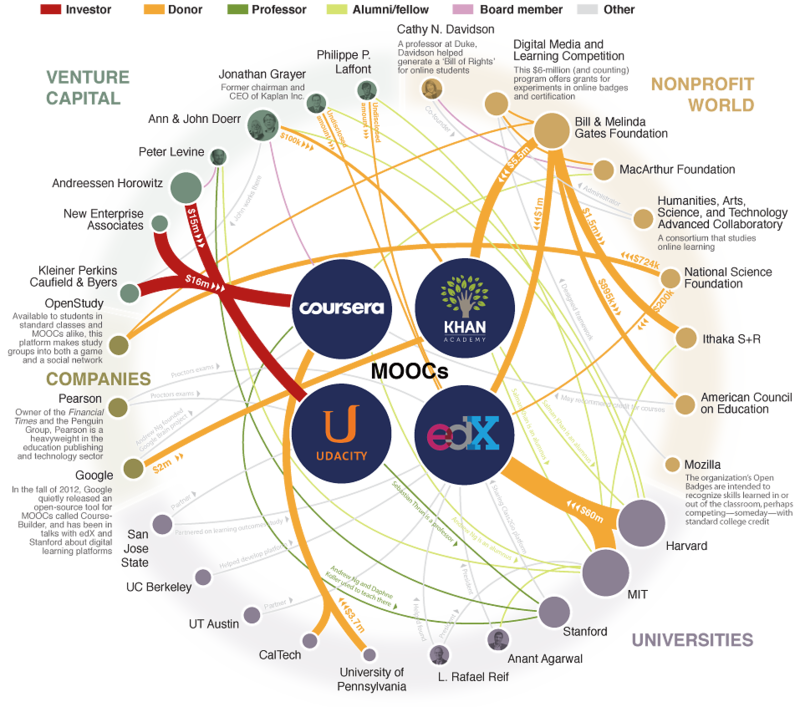 The MAP aligns the academic scope and focus with a global learning marketplace and maintains a dynamic equilibrium. When the alignment process is broken or failing the institution is in dire trouble. Curriculum architecture is the primary means of alignment. Programs of Study (POS): Consists of the taxonomy of degrees, certificates, sequences, courses, modules, and learning objects within a curriculum inventory. The inventory of programs defines the primary design feature of the institution. The inventory of programs of study anchors the architecture, focuses attention on outcomes and program-based design elements, and, thereby, facilitates the alignment of the academic master planning process with other institutional processes. Authentications: This domain details accrediting, licensing, and assessment oversight organizations, the units warranted, and related specifications. In doing so, the architecture incorporates the institutions effectiveness, accreditation and outcomes assessment planning, monitoring, and improvement processes. Delivery and Learner Access Strategies: This domain tracks program term parameters, schedule model parameters, delivery modes, facilities implications and other delivery specifications. Business Model Variables: This domain specifies the human resource specifications, instructional and non-instructional funding, and other resource specifications required to deliver the curriculum. Programs of study derive from and are nurtured and sustained by the curriculum architecture and the infrastructure and capacities it provides. Faculty capacity is essential, and an active faculty development process provides the energy and seeds of innovation to keep the portfolio vibrant and aligned with market realities. Academic programs require planning, and the MAP establishes the process. Successful academic program identification, development, and innovation requires a significant amount of global market awareness, demographic acumen, intuition, and creativity. In the end the Program of Study, such as the schematic below, drives enrollment. Caution, looking for a program that appears successful then constructing one that looks like it from the a la cart resources of the master course list is a process to be used with great care. It is a difficult challenge to nurture healthy curriculum to market. Market aversion, strong opinion, defensive behavior, and lack of awareness all conspire to make it difficult. A well developed MAP process can help get an initiative underway quickly and avoid roadblocks that inhibit the realization of academic goals. Alignment and integration with the strategic realities of the learning marketplace is essential. 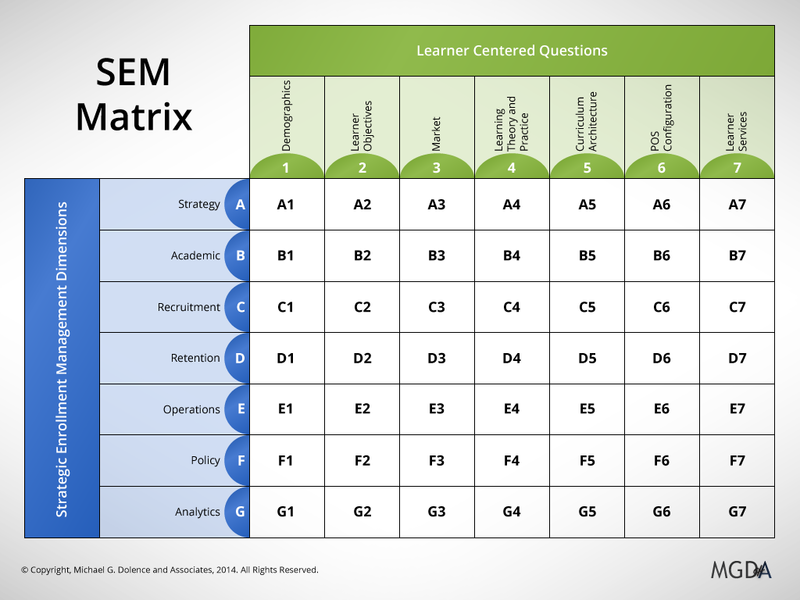 The SEM Matrix below, helps align curriculum with market realities. Intensive focus on Institutional Effectiveness (IE) is required by virtually every academic accreditation process. Increasingly this mean a comprehensive process that integrates learning and learner assessment, required if an institution is going to improve its performance and effectiveness continually. To be effective, IE must be comprehensive, cohesive and drive decision making. Academic strategies are a topic of legend. We are repeatedly asked for the illusive little trick that harvests ample enrollments, with little or no investment, and secures the financial future forever. Well, hate to say it, but, it doesn’t work that way, and we all know it. Contrary to proclamations we have seen a SWOT (Strengths, Weaknesses, Opportunities, Threats) Analysis is neither a Strategic Plan nor a strategy. I watched a Board of Trustees applaud at the announcement that a course was going online. The problem is that ‘online’ is not an academic strategy, either is a MOOC or a SOOC. They are tactics and when guided by a strategy can be very effective. Strategy development is messy. To prove the point examine the whiteboard notes taken during an initial MAP development meeting that began a successful curriculum development process. It resulted in several new programs being launched, critical improvements in the SEM Plan and significant (≈20%) enrollment growth. Option 1: Remain primarily focused on the way it is now. The Master Academic Plan is the pivotal fulcrum of any institutions future. Every institution has one, whether it is articulated as such or it exists as an ad-hoc collection of decisions, policies, deliberations and opinions. Unless it is aligned and integrated with a holistic planning portfolio, it looses its potency. Contemporary thought has reached consensus that the existing model of higher education is not economically sustainable. The angst this produces across all higher education communities is palpable. Defensive postures, the natural reaction of denial and resistance to change resulting from heightened tensions creates a difficult political environment for developing meaningful plans to move forward. The issue of economic viability, as it moves to the fore of public educational and economic policy, often precludes thoughtful transformation. Leaders often seek quick fixes to budgetary constraints, and attempt to achieve short term returns instead of investing in the future by building a resilient educational enterprise. Sadly some academic leaders are just trying to make it to retirement without confronting the future. Sadly the beliefs, their metrics and value structures turn to successes of the past wasting valuable cycle time for transformational planning and implementation. Unfortunately, many just do not understand the different dimensions that are emerging that define the future of the global digital learning ecosystem. 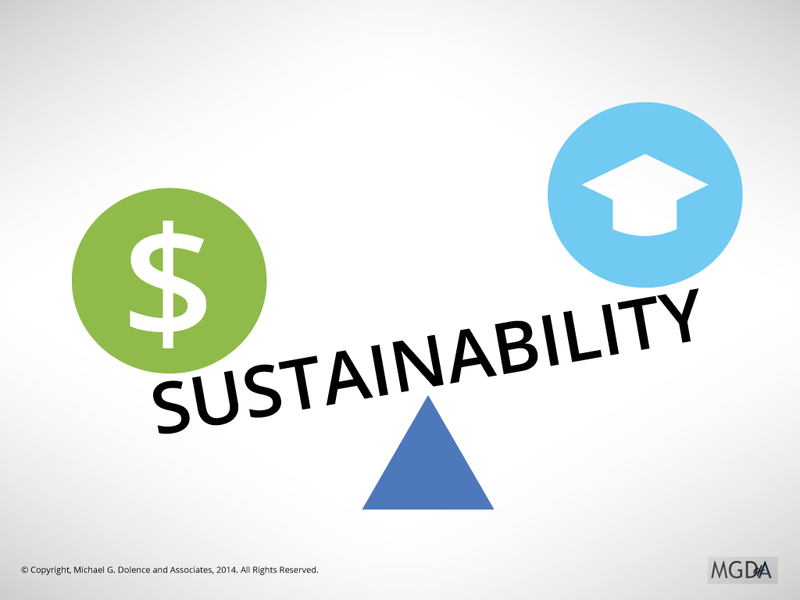 The concept of sustainability when applied to the future of higher education refers to rendering a new model or models that are economically and intellectually viable, and both socially equitable and responsible. The curriculum as warranted by the earning of the credential is and will remain the lifeblood of the global digital learning ecosystem. The production of new knowledge, the continued research and development of new concepts must be a continued focus of the realm if society is to address the legacy and emergent problems facing the human condition. How these are done is an open question. Higher education must focus upon the right things and understand their context for the future. Academics must take care to avoid internecine warfare over the challenges to the current models brought about by the paradigm shift. Instead, a focus upon optimizing the emergence of the global digital learning ecosystem as a means to create a more effective and efficient higher education experience. For example, we focus our attention on online programs rather than assimilate the power of the emerging global digital learning infrastructure. We evaluate the impact of MOOC’s (Massive Open Online Course’s) through a lens of completion rates rather than what is learned about scalability, geographic reach, open engagement or the magnitude of impact on strategic position. The point here is not that completion rates are not important when evaluating the performance of an industry accumulating $1.2 trillion in consumer debt. It is to point out that the comparison to MOOC’s that are free to the consumer renders the issue impotent. Make no mistake all of higher education is not asleep, and there is a palpable pulse of strong creativity, innovation and experimentation building worldwide. The goal of sustainability in the future of higher education refers to rendering a model or models that are both economically and intellectually viable. To do this, we must recognize that the fundamental economics and business models are intertwined, and they need very close scrutiny. First is the issue of section size. In the post “Curriculum drives enrollment, enrollment drives revenue, revenues drive everything else!” we illustrated in the Margin Case Study (below) the economics of managing to a break even section size and pointed out that the failure results in a structural deficit that undermines the long term economic health of the institution. 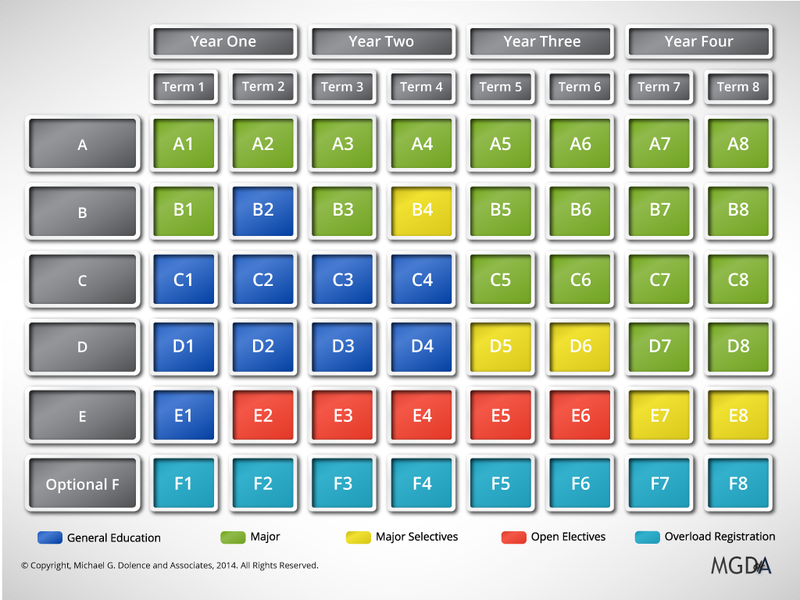 The specifications of section size are basic components of the curriculum architecture that is in place, and it is difficult to modify. Understanding the future requires accepting that the curriculum architecture is the fundamental foundation upon which to build the future. We described the context, concept and construct of Curriculum Architecture in another post. The issue becomes how do we engage the academy in a sustained serious discussion of new horizons for the design, development, and implementation of a curriculum architecture that aligns with and optimizes the new paradigm. See Higher Ed as a Business vs. the Business of Higher Ed. The stark reality is that it has become an open global dialog, and innovation and entrepreneurs are simply building strong, effective components of a resilient, cost effective learning ecosystem. In our resource page on Digital Learning Environments, we shared some of the examples and more are on their way. In the U.S., two elements hold the current model for higher education together, and they are inexorably linked. The first recognizes the sanctity of accreditation as a prerequisite to the second, access to massive federal and state funding. As public policy aligns with new realities these elements are vulnerable to change. Crushing public debt will force them to change. Higher education must make progress toward preemptive positioning the sector, and that is the focus of “Make Everything Count” as a strategy. Take stock of the initiatives underway illustrated in Change the Paradigm. Examine the experiences in Merging Public Colleges in Georgia, and the new planning efforts exampled by MIT as described in Develop Capacity: Part 3. Extrapolate the impact of the Georgia Tech initiative where students enrolled in the new Master of Science in Computer Science program will pay less than $7,000 for a graduate degree, compared to $45,000 for on-campus students. Time waits for no one and transitions are occurring much faster than most realize. Sustainability requires a keen focus upon institutional effectiveness and organizational performance. Deep systemic, strategic planning is required to nurture change. Change that results in a cohesive focus upon efficiency and effectiveness while creating an environment of sustainable performance aligned with the emerging realities of the Global Digital Learning Ecosystem. That means removing barriers and creating an environment for sustainable performance. To begin the Ivey Business Journal offers The New Leadership Challenge: Removing the Emotional Barriers to Sustainable Performance in a Flat World and Harvard Business Review offers Creating Sustainable Performance. Remember the result must be sustainable. 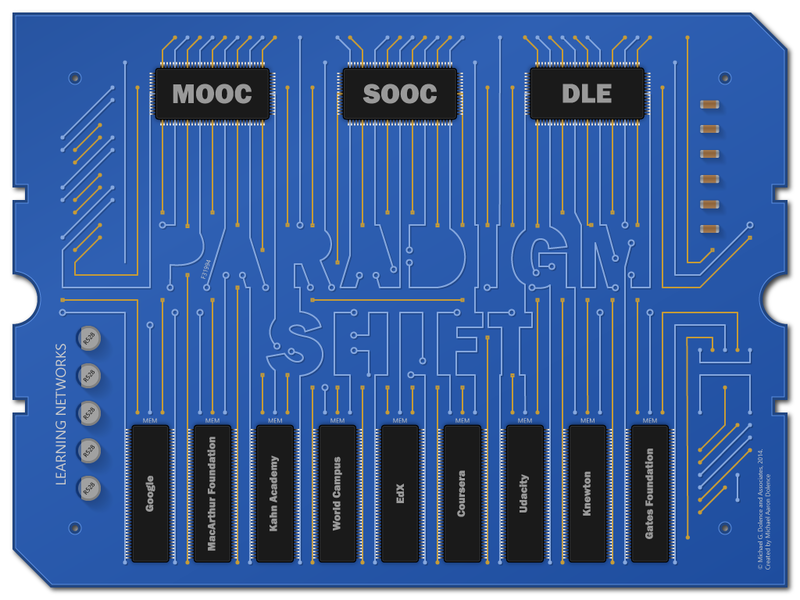 Sustainability of an institution of higher education is determined by its position in the global digital learning ecosystem resulting from the paradigm shift. Making everything count requires an intense focus upon understanding the strategic position that is desired for the organization and the detailed elements that contribute to achieving it. Sustaining that focus constantly requires doing the things that advance position in the global learning marketplace. This means working within means and not developing an everything strategic is an add on mentality. Building an open, healthy academic culture is paramount. Recognize the insidious sources of overhead. Recognize the need to make time for working on the future. Closely examine initiatives already underway. Engage in one sustained, comprehensive process that delivers immediate, mid term and long range results. Recognize that developing metrics to help measure value is an important part of the process. Also understand developing a culture of good stewardship of resources (time, money, space). Understanding the basic financial realities of the learning sphere and academic enterprises is essential. 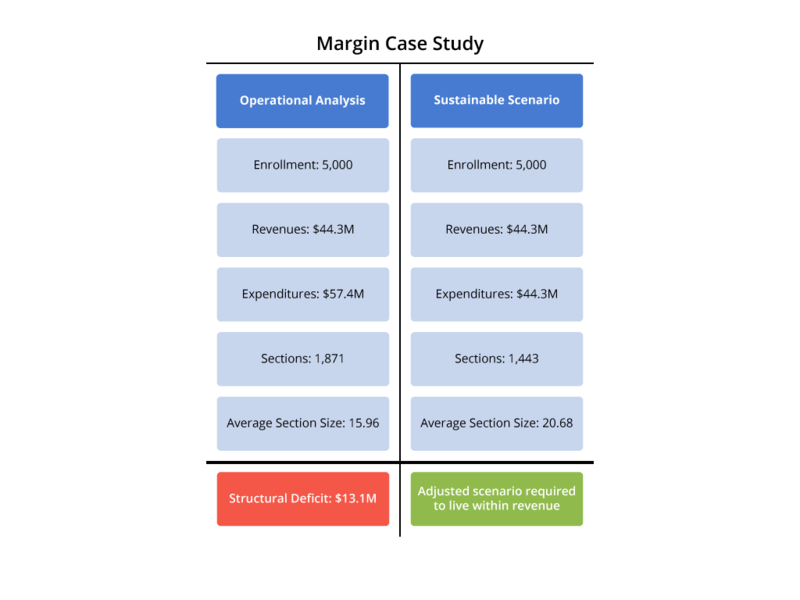 Understand the concept of margins-a condition where the value exceeds the cost. Understand changes in scale, scope, and geographic reach now being contemplated by colleges, universities, and learning providers. Begin by using structured dialog to bring focus and clarity to planning and managing the academic enterprise in the learning age. The MGD+A SRS method is useful in this effort. Conceptualize an overarching effectiveness strategy to guide structured assessments that help determine the value and impact of ideas, initiatives, and strategies. Document the dialog and the plan and use it to guide you to the future. Don’t forget to let us know what you are using and how it is working. Engaging will also permit us alerting you to new postings, tools, and references. Read, like, follow, post comments and questions and engage in open dialog via our Blog. Join the Academic SEM LinkedIn Group. 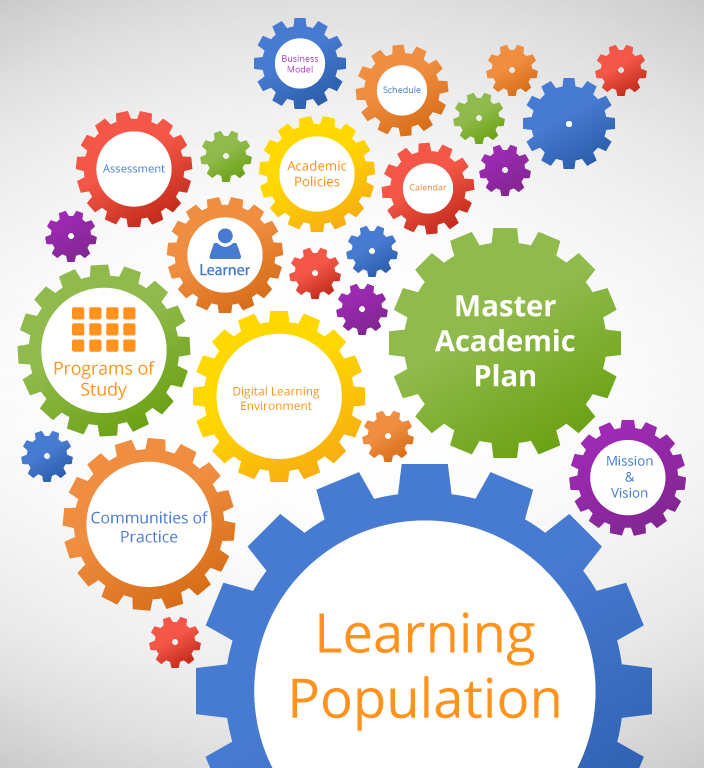 Our next post in the series will feature the Master Academic Plan. Current estimates are that there are roughly 20,000 colleges and universities worldwide. Each renews or refreshes its strategic plan every 3 to five years. That means on average every year there are between 5,000 and 6,667 institutions worldwide that are in the process of reviewing their mission statements and developing a strategic plan. Each faces a daunting task. Each must plan the process of planning (called the plan to plan). Each must inventory, invite, and convene their constituents and engage them in the process. Each must labor over process design; methods used, committee structures, wordsmithing, concept development, and visions. In the end, it will engage thousands of person hours and provoke virtually everyone. In each case just getting the planning work done and fitting it into the everyday routine work plan is a major challenge. 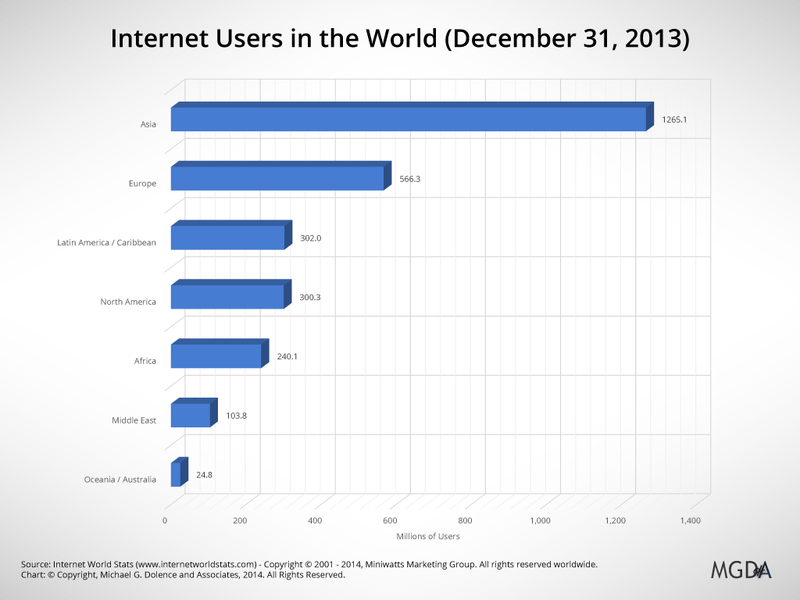 In the meantime, the world continues to evolve rapidly. For example, MOOCs came on the higher education scene achieving levels of scalability never before imagined. 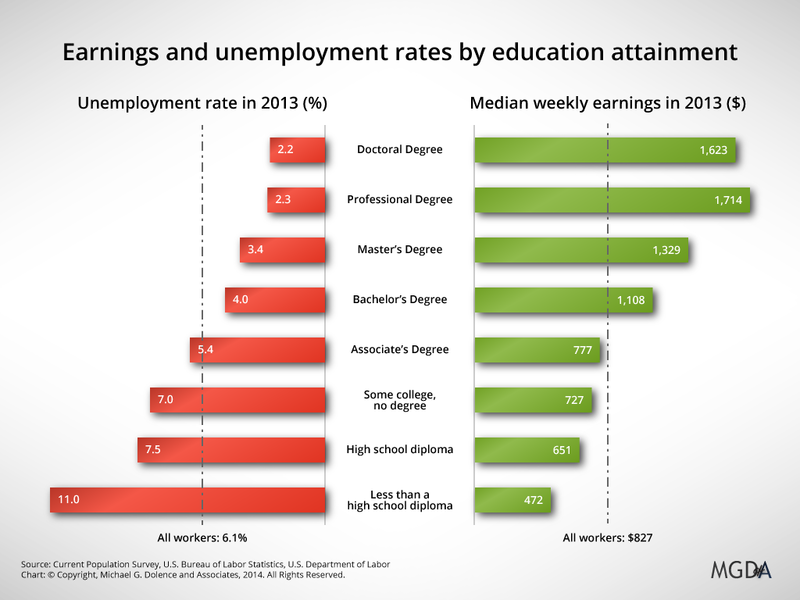 Online learning continues to grow, national and state investment in higher education have become strained to the limit, (in the U.S. federal student loans have accumulated to a trillion dollars in debt). As a result the public is demanding more flexible options, higher levels of accountability, greater efficiencies, proof of value of the higher education experience and evidence that outcomes are achieved by learners. Trying to understand the dynamics of the changing environment while constructing a flawless blueprint for the future (not what the plan is, but we hear planning team participants echo this sentiment frequently) is a daunting mission impossible. One method is to slow down in order to speed up. That means let the leadership team practice. In order for the planning team to more fully understand the fundamental changes and the impacts emanating from the paradigm shift currently underway we recommend the development of a rapid prototype strategic plan. Such a plan is done in preparation for the development of the plan to be enacted. A rapid prototype helps frames issues, draws contrasts, proposes emerging solutions and recognizes new realities surrounding the emerging global digital learning environment. The approach permits the development of a comprehensive picture that looks and can reach farther into the future. A rapid prototype is developed in a minimum amount of time, with limited resources and provides the maximum in cost to transformational benefit. 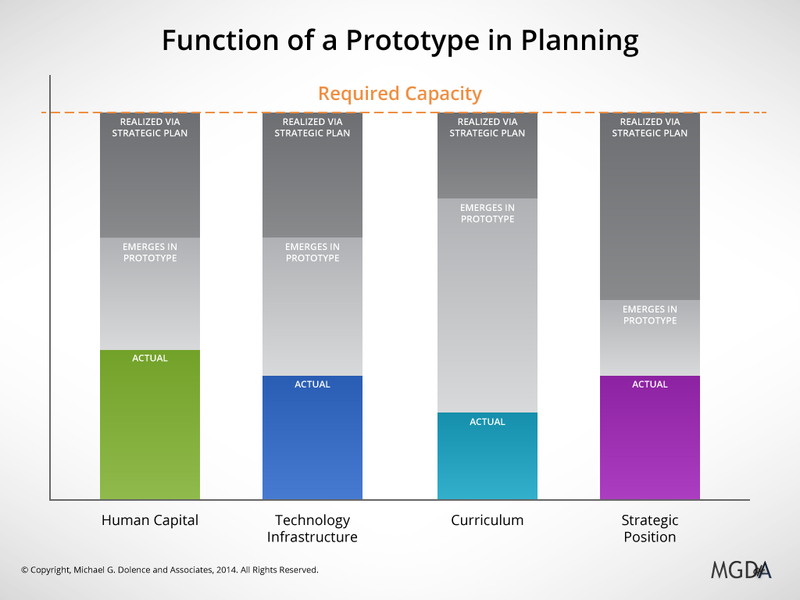 This post begins a series that focuses upon the design and development of a Prototype Strategic Plan for an Institution of Higher Education. We recommend developing a forward-looking prototype strategic plan as a means to introduce constituents to the profound changes occurring as a result of a paradigm shift currently underway. Developing a prototype plan, allows planners to frame the future and its implications to the institution in a structured way. The prototype plan then serves as a possible view of the future as a reflective tool prompting deeper dialog. A planning process is complex, highly political and can be fraught with pitfalls, missteps, and misperceptions. The literature is replete with examples of failure. Leaders recognize that the true value of the planning process is not a plan (sure it is important and must be produced), but in how the process engages the organization and prepares it to address critical challenges and improve performance. Our prototype sets forth four basic strategies: Change the Paradigm, Focus on Value, Develop Capacity, and Make Everything Count. The series will then take these four strategies and explore how they shape eight tactical plans beginning with the Academic Master Plan. Over the next few weeks of this Series, we will post more detail on each of the twelve basic elements of a Prototype Strategic Plan. We invite you to engage with us, make suggestions, observations, and add to the concept.